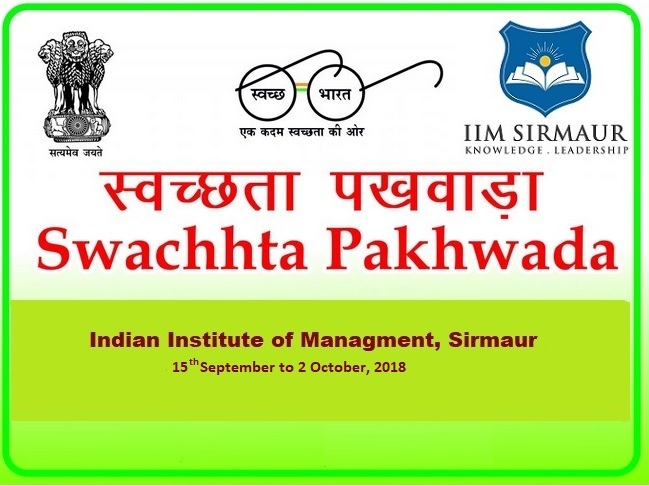 IIM Sirmaur has started Waste Management drive as part of the Swachhta Pakhwada. The institute is taking various initiatives for the identification of waste, waste seggregation, waste disposal and are working towards making the campus plastic free. Pollution caused by improper disposal of waste is a big cause of concern. This awareness programme will motivate everyone to inculcate waste management in their culture and help understand the importance of waste disposal. As a first step, the students have been actively participating in spreading awareness among the cleaning staff, mess staff, administration and faculty of the institute about the waste management initiative.